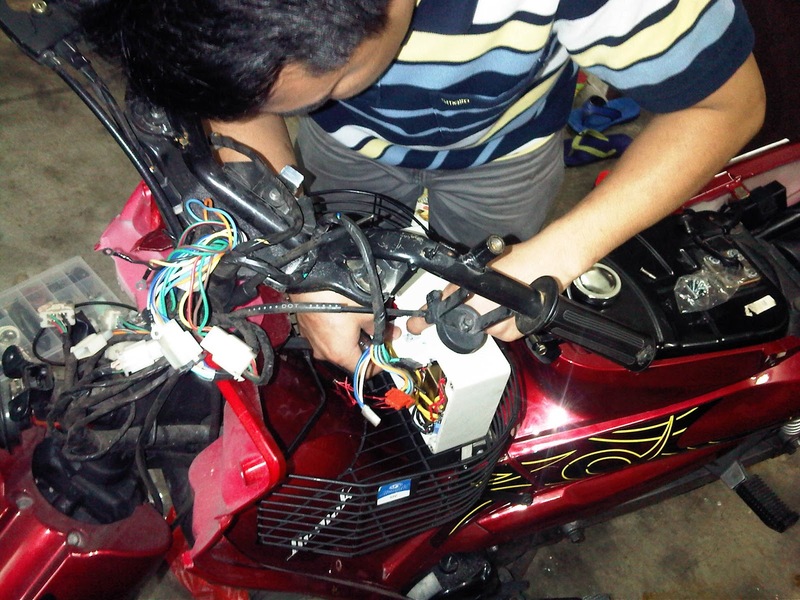 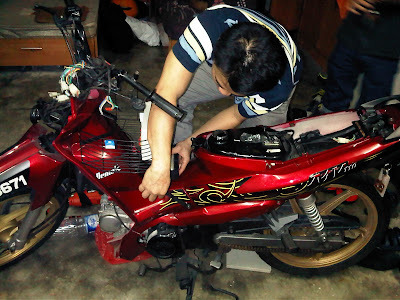 This is him, working on wiring placement. 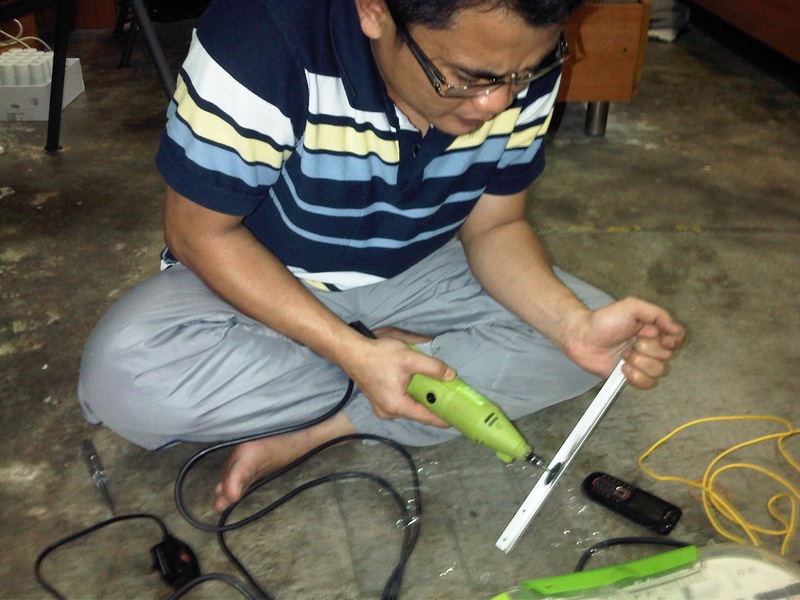 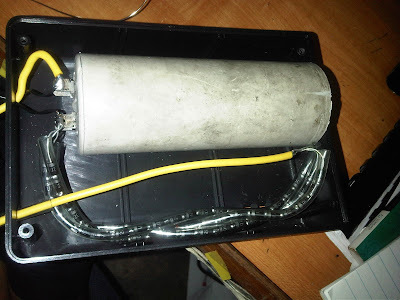 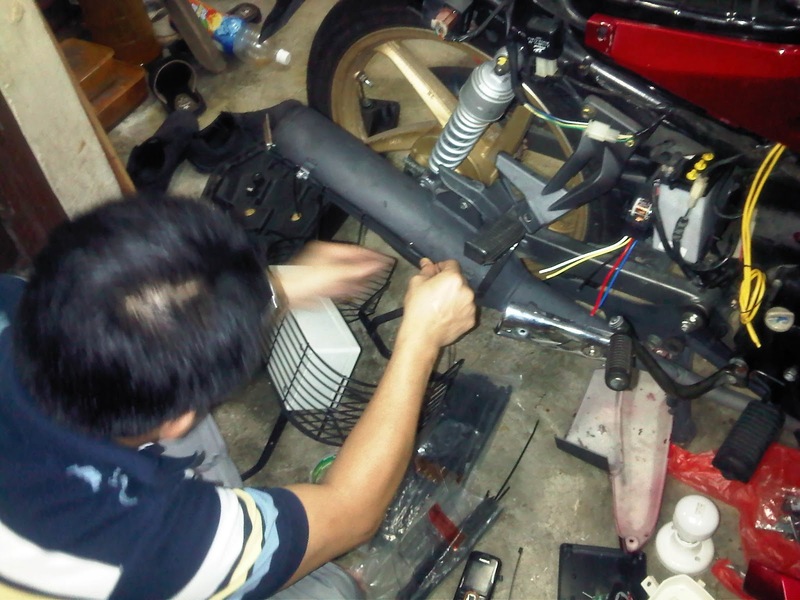 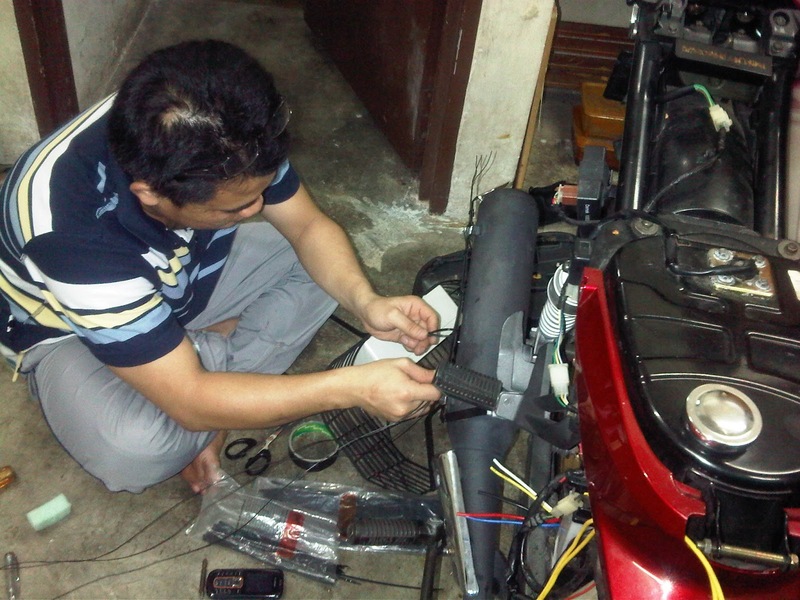 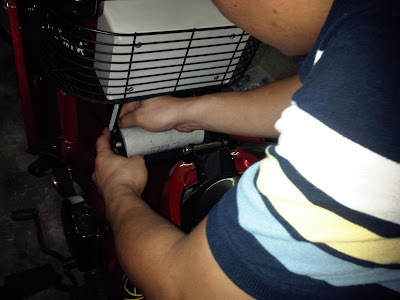 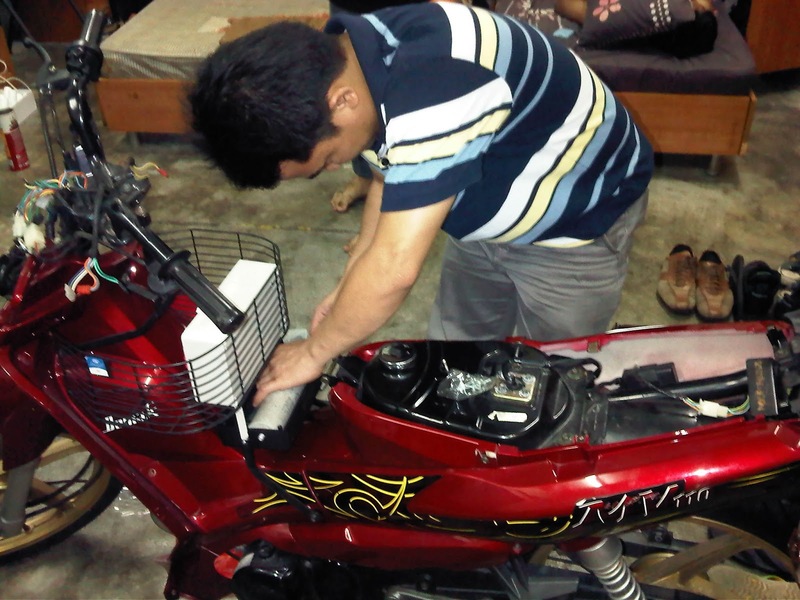 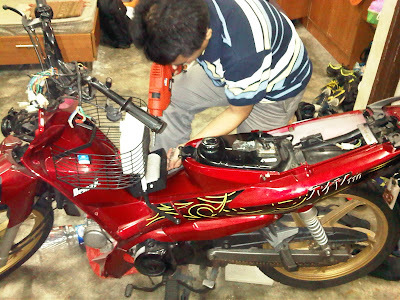 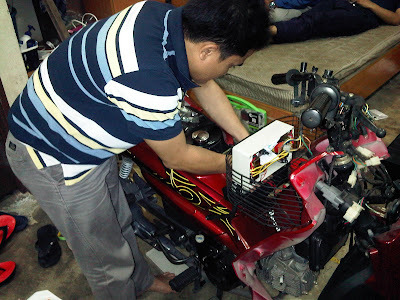 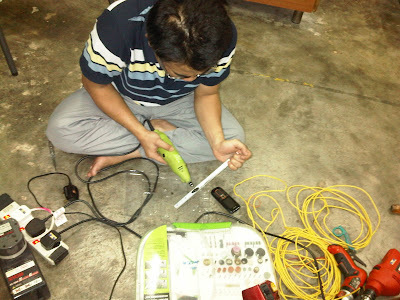 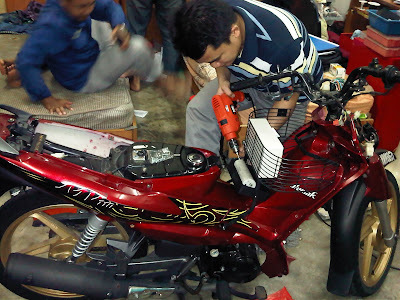 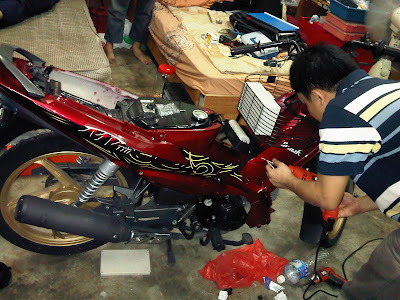 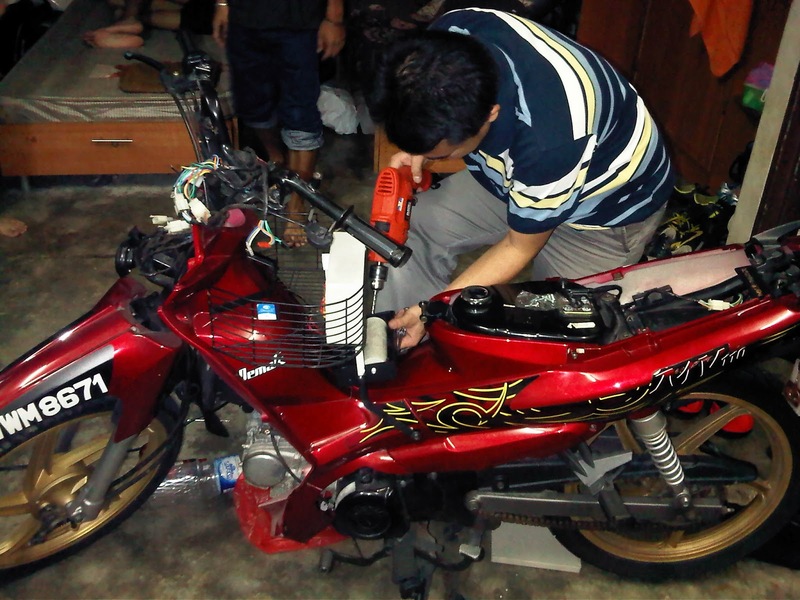 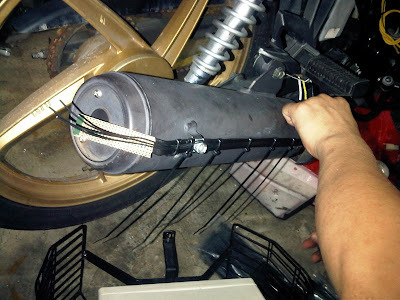 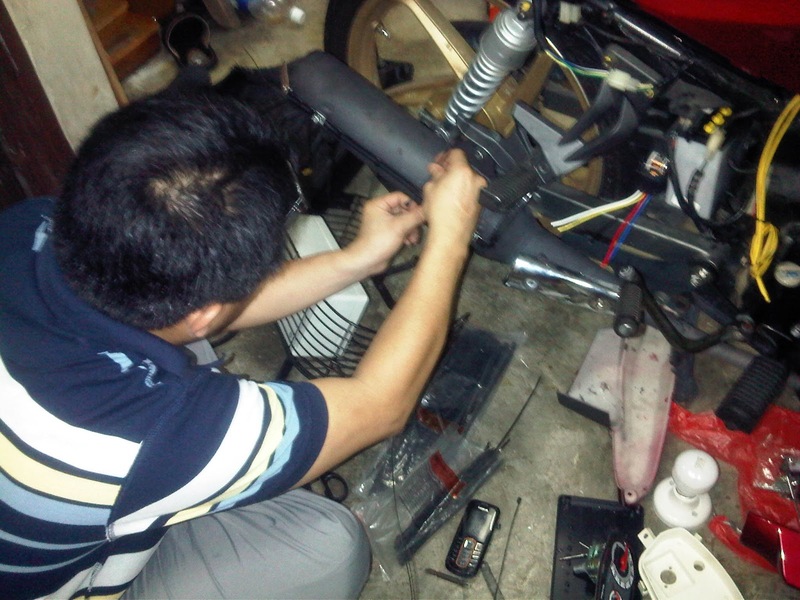 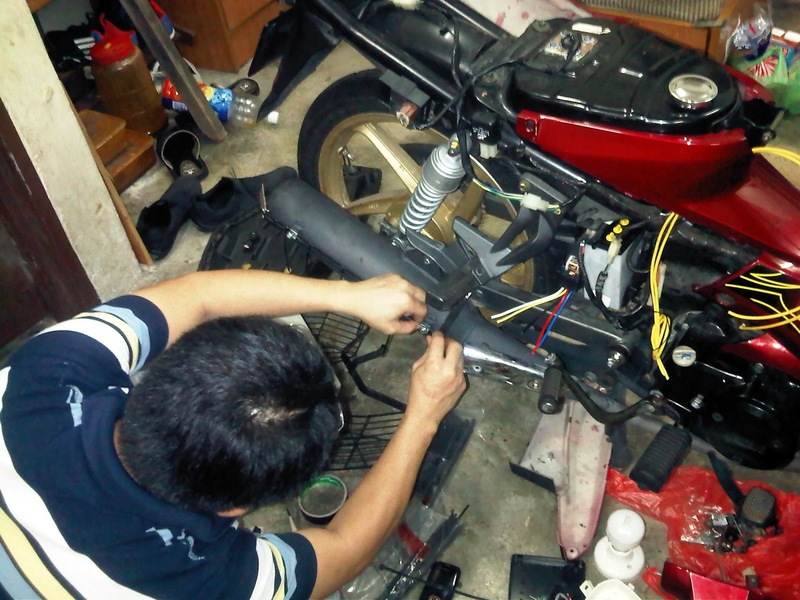 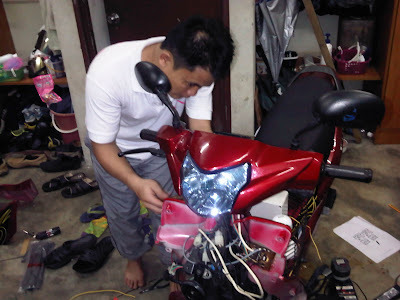 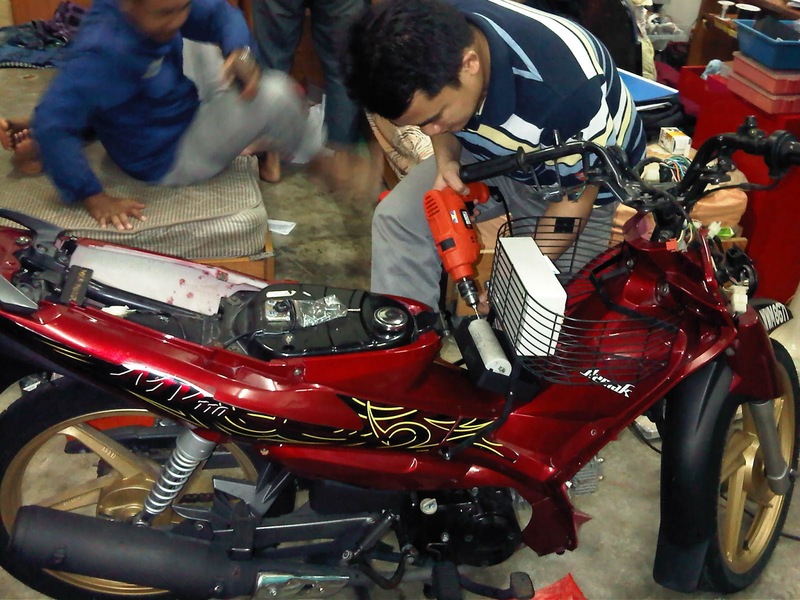 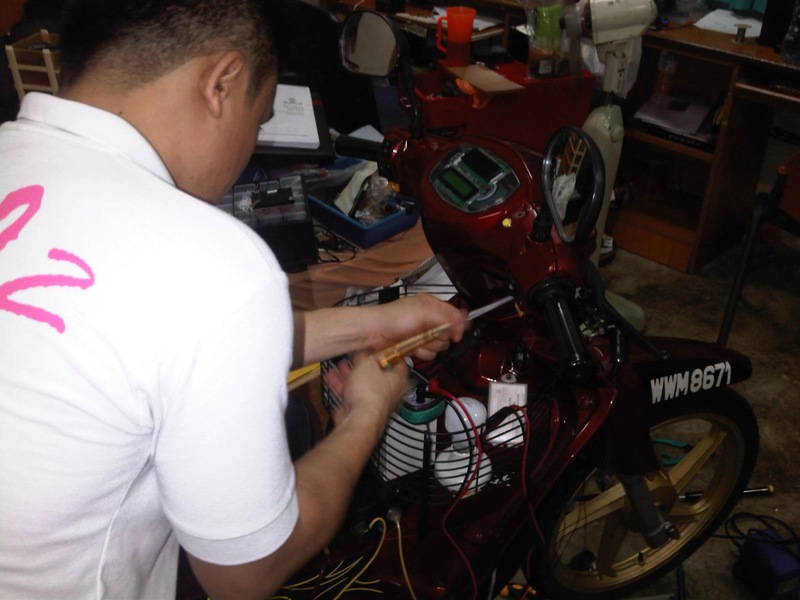 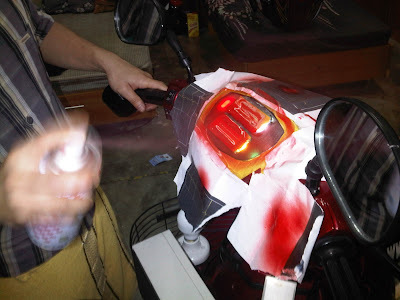 This is him, working on exhaust gas temperature sensor. 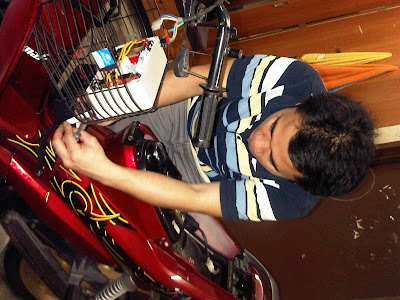 Continued to next day, this is him working on display-panel electronics. 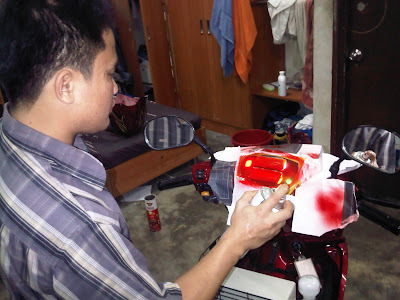 Another day, this is him, painting the display panel.